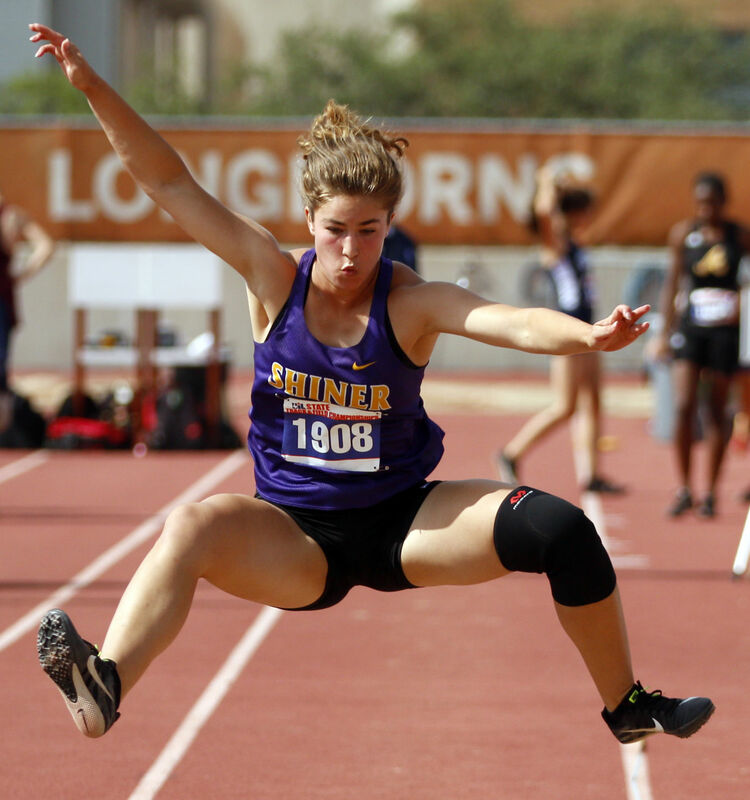 Shiner’s Sabrina Blaschke leaps during the Class 2A girls long jump Saturday at the state track and field meet in Austin. AUSTIN — Refugio’s Alexa Valenzuela was in tears after winning the Class 2A 200-meter dash at the UIL Track & Field State Championships. Valenzuela saw the race was under review and assumed the worse. The win stood and so did the 10 points, which helped the Lady Cats clinch their first team title since 1992. Refugio finished with 62 points, Vega was second with 60 and Shiner was third with 40. The outcome was in doubt until the final race — the 1,600 relay. 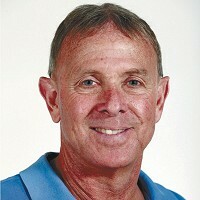 A win would have given Vega the team championship, but it finished second. Refugio got an important first-place finish from freshman Jai’lin King in the long jump. But the championship wouldn’t have been possible without Valenzuela, who contributed 33 points by winning the triple jump, 100 and 200 and running the anchor leg on the 800 relay that finished third. Valenzuela, a junior, ran her state meet medal total to nine. Even Valenzuela found a reason to smile at the meet’s conclusion. Shiner came up short in its bid for a team title, but the Lady Comanches made their presence felt in the relays. Shiner won the 400- and 800-meter relays and competed in all three relays for the third time in the last four years. Bonds has no doubt the competition at the state meet brings out the best in the Lady Comanches. Woodsboro’s Garrett Burns was making his first trip to the state meet and he made it a productive one. Burns won silver medals in the Class 2A discus and shot put. “It was a pretty cool experience,” Burns said. Burns was happy to get the medals, but not pleased with his overall performance. 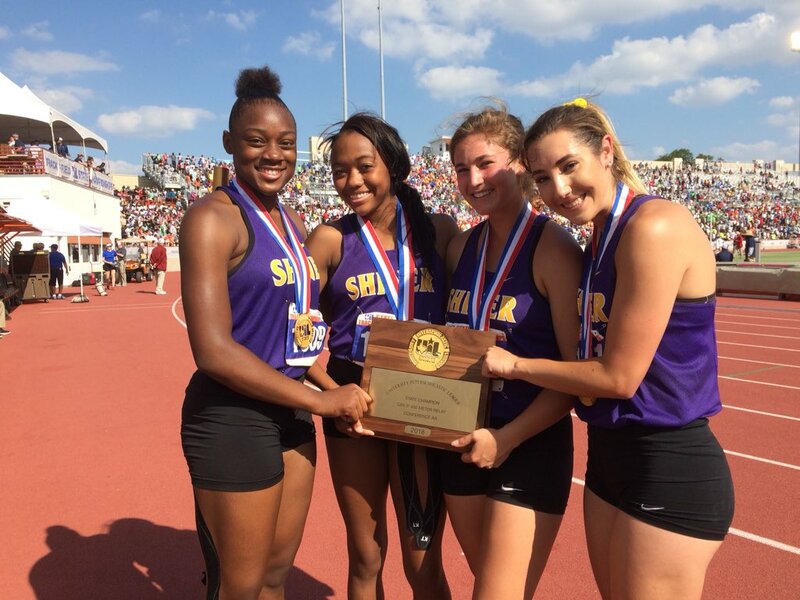 Shiner girls win gold in Class 2A 400 relay at UIL state meet. 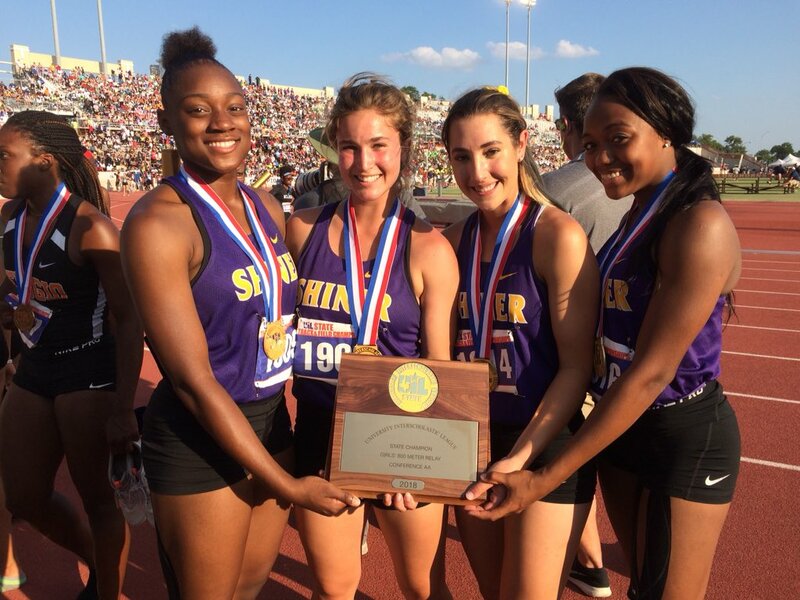 Shiner girls win gold in Class 2A 800 relay at UIL state meet. 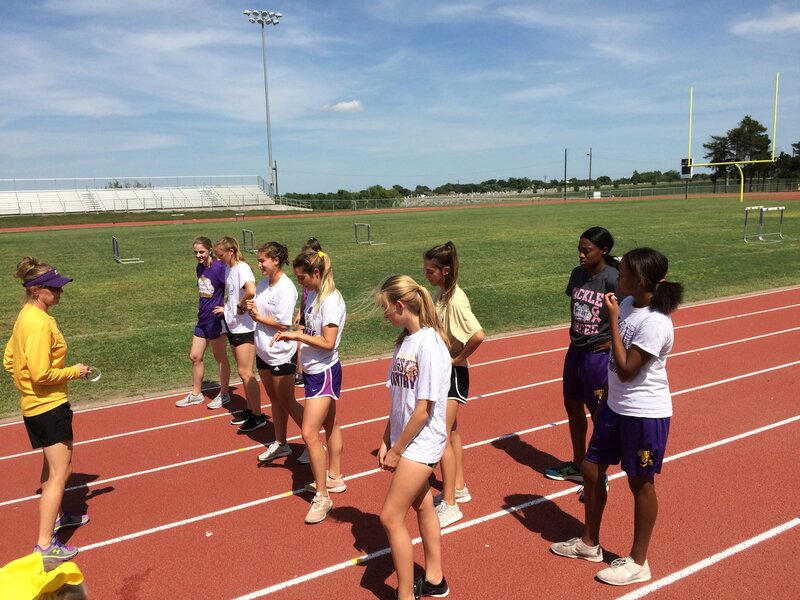 Shiner girls get ready for UIL Track & Field State Championships.